The First Baptist Church of Redlands is committed to completing the Great Commission. Our members sacrificially and cheerfully offer up their time, talents, and resources to extend the hope of Jesus around the world. 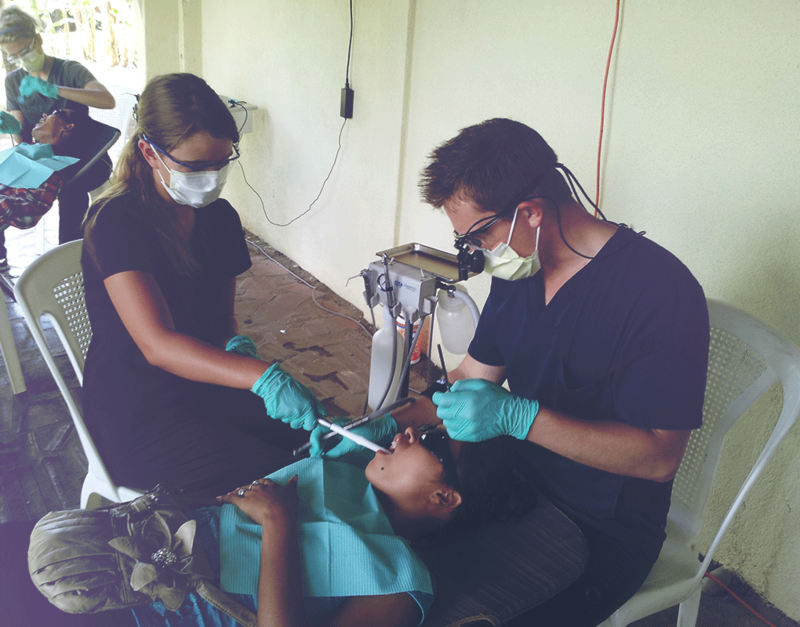 Every summer a team of dentists and dental students led by FBCR member Mark Carpenter head to Nicaragua to run free dental clinics for the community. In 2014, FBCR donated $3,500 toward their supplies. The team works full days seeing hundreds of patients, most of whom are children, and try to save as many teeth as possible by focusing on fillings rather than extractions. The annual mission trip started in 1999, when Mark gathered up a group of dentists to help a medical missionary in Nicaragua. The team has gone consistently every year since, giving the Nicaraguans something to count on. The natives know they're coming; so local pastors and doctors get patients lined up, many coming from the poorest communities. Our church’s National and World Missions Commission helps us cultivate a growing partnership with Christians around the world. Alongside the American Baptist Churches, USA, we support mission work in areas such as the Congo, China, and the Middle East. We have also established a sister relationship with Mt. Sinai Baptist Church in La Concepcion, Nicaragua. As part of our commitment to national and world missions, four special offerings are collected each year, and 11% of our church's general offering is designated for mission work in our local community, country, and around the world. In 2014, The First Baptist Church of Redlands gave $10,437.78 for our four special American Baptist Churches USA offerings, bringing the total to $104,924.63 in donations to benevolent and mission causes supporting local, national, and global mission outreach endeavors. Our Fellowship Fund also aids individuals and families in the church with emergency needs.